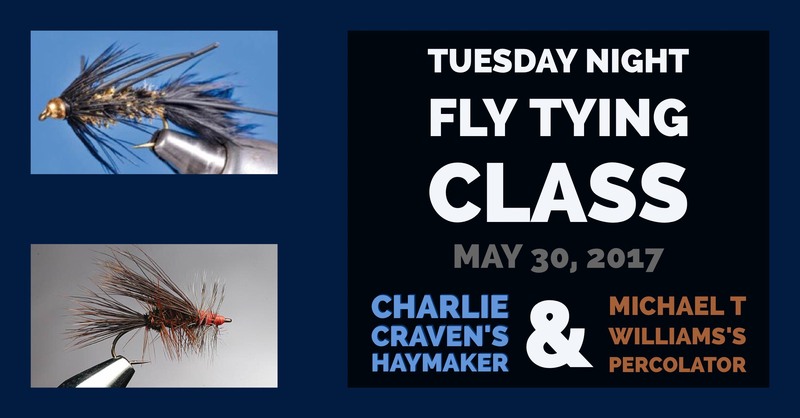 Tuesday Evening’s flies will be The Percolator by Michael T Williams and Craven’s Haymaker by Charlie Craven. 7 PM at Quail Park in Visalia. Bring $3-5 for mats since Don buys the material for the kits. Please let Don know if you’re going to attend so he can make enough kits.